Only 13 Miles! Delivers 21 Highway MPG and 15 City MPG! Dealer Certified Pre-Owned. This Ram 1500 boasts a Regular Unleaded V-8 5.7 L/345 engine powering this Automatic transmission. WHEELS: 20 X 9 ALUMINUM CHROME CLAD -inc: Tires: P275/60R20 OWL AS, Full Size Temporary Use Spare Tire, TRANSMISSION: 8-SPEED AUTOMATIC (8HP70) -inc: 17 Aluminum Spare Wheel, TIRES: P275/60R20 OWL AS. 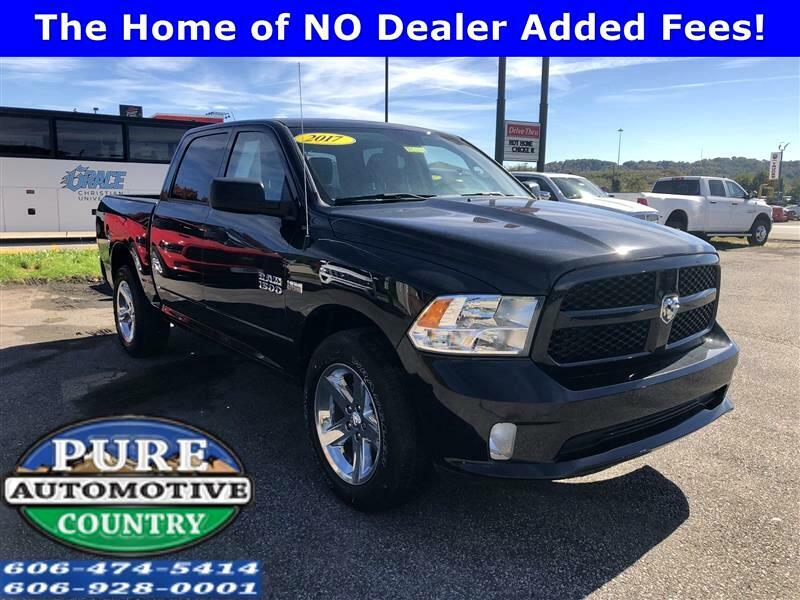 *This Ram 1500 Features the Following Options *QUICK ORDER PACKAGE 26J EXPRESS -inc: Engine: 5.7L V8 HEMI MDS VVT, Transmission: 8-Speed Automatic (8HP70), Fog Lamps, Dual Rear Exhaust w/Bright Tips, Ram 1500 Express, Body Color Grille, Body Color Rear Bumper w/Step Pads, Front & Rear Floor Mats, Body Color Front Fascia, GVWR: 6,900 lbs , SIRIUSXM SATELLITE RADIO (subscription required), REMOTE KEYLESS ENTRY W/ALL-SECURE, RADIO: UCONNECT 3 W/5 DISPLAY -inc: 5.0 Touchscreen Display, Overhead Console, GPS Antenna Input, Temperature & Compass Gauge, Integrated Voice Command w/Bluetooth, Charge Only Remote USB Port, POPULAR EQUIPMENT GROUP -inc: Remote Keyless Entry w/All-Secure, SIRIUSXM Satellite Radio (subscription required), For More Info, Call 800-643-2112, No Satellite Coverage w/AK/HI/PR/VI, PARKVIEW REAR BACK-UP CAMERA, MANUFACTURER'S STATEMENT OF ORIGIN, LED BED LIGHTING, GVWR: 6,900 LBS, ENGINE: 5.7L V8 HEMI MDS VVT -inc: Electronically Controlled Throttle, Hemi Badge, Next Generation Engine Controller, Heavy Duty Engine Cooling, Heavy Duty Transmission Oil Cooler, Engine Oil Heat Exchanger. *Stop By Today *A short visit to Pure Country Automotive located at 333 C.W. Stevens Blvd, Grayson, KY 41143 can get you a dependable 1500 today! The home of NO Dealer Added Fees!